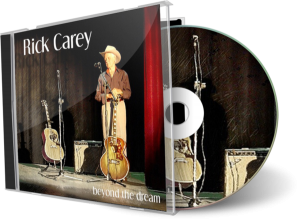 Rick Carey – featuring special guests, Troy Cassar-Daley, Bill Chambers, Anne Kirkpatrick, Rod & Jeff McCormack, Tracy Coster, Stuie French & Lynne Carey with her Dad on some new and old songs. 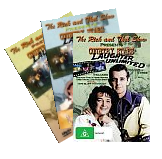 This DVD shows footage taken of a show in Saddleworth, South Australia in 1984. 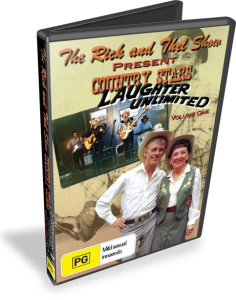 The show starred Mal Russell, Brian Mitcheson, Doug Brown, George Graham, Marilyn Russell, Cousin Ratsack and Rick and Thel Carey. 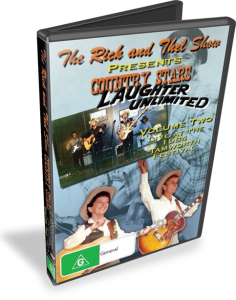 This DVD shows footage taken at a show held during the Australian Country Music Festival in Tamworth, New South Wales in January of 1984. 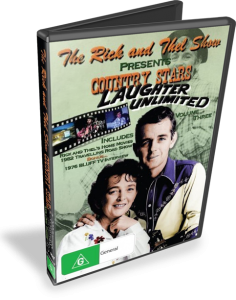 This DVD shows some footage of home movies narrated by Rick, and was filmed between 1959 to 1965 (28 mins. ), Some highlights of the show filmed in Tumby Bay, South Australia. (70 mins. 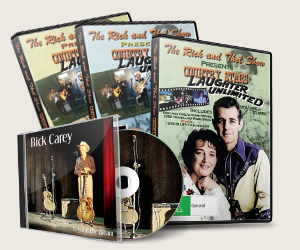 ), and a short Television Interview of Rick & Thel recorded in Bluff, Queensland in 1976 (6 mins.). 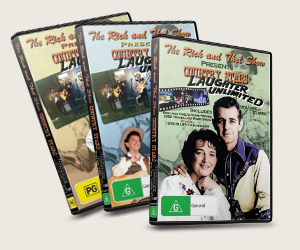 The home movies include brief shots of Slim Dusty, Joy McKean, Chad Morgan, Brian Young, Paul Lester, Pam & Ray Kernaghan and others. The Show featured Merve Maltman, John Leckner, Wayne Symonds, Kevin Gunn, Cousin Ratsack, Rick And Thel Carey. Within Australia, add on $3.50 per item to a maximum of $10.00. For the package orders, add $10.00 to the package prices. If you wish to order from overseas, then please let me know via the Contact page, and I can organize a Pay Pal payment after we give you a quote for shipping. All orders will be shipped within 24 to 48 hours upon receipt of payment. Depending on the demand, at some point in the future I plan to arrange an online checkout using PayPal, however, in the meantime payments will need to be paid directly to a PayPal account. Thank you for visiting and we appreciate your interest and support. * All prices, including postage and handling are subject to change at any time, and without notice.